On June 6, 2018, the Ocean Exploration Trust (OET) — led by famed oceanographer and explorer Dr. Robert Ballard — will embark on a six-month expedition aboard Exploration Vessel (E/V) Nautilus in one of its longest exploration seasons to date. In its fourth year of exploring the eastern Pacific Ocean, Nautilus will visit sites from British Columbia and along the west coast of North America down to southern California and for the first time, west to the Hawaiian Islands and Papahānaumokuākea Marine National Monument. Continuing the Nautilus Exploration Program’s mission to explore the oceans and seek out the unknown in regions the scientific community has deemed a high priority for exploration, scientists on board Nautilus and on shore participating via telepresence will conduct research ranging from deep-sea coral habitats in national marine sanctuaries to hydrothermal vents from an active submarine volcano, bubbling methane seeps, and ancient shorelines just off shore some of North America’s largest cities. 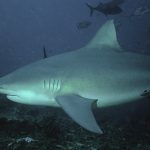 The public, scientists, educators, and students can watch the real-time exploration via live streaming video on www.NautilusLive.org, a 24-hour portal bringing expeditions from the field to future explorers on shore via telepresence technology. The public can also follow the expedition with behind the scenes updates and special live events on social media, and participate in live interactions with shore-based audiences at partner schools, museums, aquariums, science centers, and public events around the world. E/V Nautilus is exploring unknown regions of the ocean seeking out new discoveries in biology, geology, and archaeology. Join us 24/7 for live video from the seafloor and to ask questions of our explorers currently aboard Nautilus: www.NautilusLive.org. “With telepresence, you can send your soul to the bottom of the Pacific Ocean with ROV Hercules, and then go home at the end of the day. Anyone with an internet connection can explore right along with us by watching Nautilus Live,” says Dr. Ballard, President of OET. E/V Nautilus will begin the 2018 expedition exploring for methane seeps and hydrate sites along the U. S. Cascadia Margin, located offshore Washington, Oregon, and northern California. A coordinated seafloor mapping effort by our research team in the past two years has resulted in the discovery of over 2700 new bubble streams at over 1000 individual sites in this region, and this expedition will add to that ongoing research. Establishing a baseline by documenting these sites is timely as geological events, such as earthquakes or submarine landslides, could result in important environmental impacts due to sudden methane release. While transiting north, Nautilus will also attempt to locate and recover fragments of a rare, large meteorite fall that was observed in Olympic Coast National Marine Sanctuary off the coast of Washington in March 2018. E/V Nautilus will continue north to British Columbia to visually survey three offshore Pacific seamounts—SGaan Kinghlas-Bowie, Dellwood, and Explorer—marking the Nautilus’ farthest northern Pacific exploration in partnership with Fisheries and Oceans Canada, Ocean Networks Canada, Oceana Canada, and the Haida Nation. The SGaan Kinghlas-Bowie Seamount lies within the co-managed (Haida Nation – Department of Fisheries and Oceans) SGaan Kinghlas-Bowie Marine Protected Area, 180 kilometers off the west coast of Haida Gwaii, and is one of the shallowest seamounts in Canada. The Dellwood and Explorer Seamounts are located within the Pacific Offshore Area of Interest that is under consideration as a Marine Protected Area. 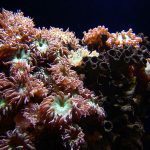 This expedition will provide the first data and observations for long-term monitoring within this unique and biologically rich region, as well as on two other seamounts within Canada’s newest protected area, enabling scientists to study Vulnerable Marine Ecosystems in a changing ocean, particularly deep-sea coral and sponge ecosystems. Remaining offshore British Columbia, E/V Nautilus will continue a fourth consecutive year exploring in partnership with the University of Victoria’s Ocean Networks Canada. Nautilus will visit various sites along the NEPTUNE observatory, an 800-km fiber optic cabled network located off the west coast of Vancouver Island that supplies continuous power and Internet connectivity to a broad suite of subsea instruments. In addition to deploying and maintaining various observatory instruments, Nautilus will also explore the geology and biology found at observatory nodes, including a tectonically active subduction zone, methane seeps, hydrothermal vents, and abyssal plain. 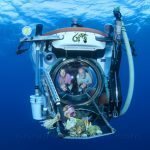 Moving west to the Hawaiian Islands for the first time, Nautilus will launch the multi-year SUBSEA (Systematic Underwater Biogeochemical Science and Exploration Analog) Research Program, a partnership between NASA, NOAA Office of Ocean Exploration and Research, and various academic centers. Bringing together both ocean and space exploration teams aboard E/V Nautilus, the SUBSEA team will survey Lō`ihi Seamount, an active submarine volcano and relevant analog environment to hydrothermal systems on other ocean worlds in our solar system. Operations will include testing models of the telepresence operation on board Nautilus with a shore-based team located at University of Rhode Island’s Inner Space Center, demonstrating an analogous model where an astronaut might guide robots deployed on Mars while in orbit around that world. Continuing northwest, E/V Nautilus will explore enigmatic seamounts located in an unexplored area of the Papahānaumokuākea Marine National Monument, the largest contiguous marine protected area in the United States. Expedition objectives are to determine how and when these seamounts formed and to document deep-sea coral and sponge communities currently inhabiting these seamounts. 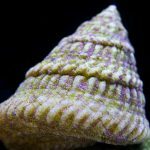 These communities are hot-spots of biological diversity in the deep sea and have become primary targets for deep-sea conservation in U.S. waters and findings from this expedition will help inform management efforts in the Central Pacific. 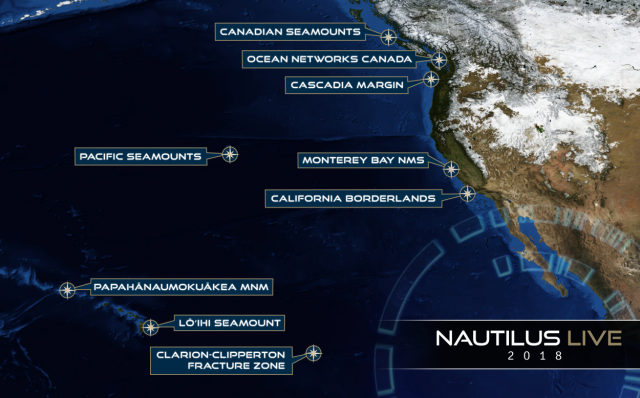 Returning to the west coast of the contiguous United States, Nautilus will explore an unexplored, deep-water region southeast of Davidson Seamount, within the borders of Monterey Bay National Marine Sanctuary (MBNMS). One of the largest seamounts in U.S. waters, Davidson Seamount is an inactive volcano off the coast of central California, and due to important habitats on this underwater mountain, is considered to be an area of special national significance. Although extensive previous ROV dives have occured on the seamount proper, there is deep rocky habitat southeast of the seamount that could harbor additional communities of corals and sponges that may be necessary for maintaining healthy coastal populations in the MBNMS. Wrapping up the 2018 expedition season, E/V Nautilus will return to the southern California Borderland region, near our home port of AltaSea at the Port of Los Angeles. This is a continuation of an effort by Nautilus over the last four years to understand sea level history and locate, map, and document submerged paleo-shorelines in the Channel Islands region. 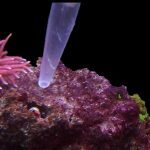 Last year, multiple caves were discovered on several shallower marine terraces, leading to a breakthrough in understanding of where to find submerged caves in the region and the orientation of cave entrances. This year’s expedition will focus on surveying deeper marine terraces at offshore banks, as those do not receive sediment from land which obscures ancient submerged shoreline features like caves from view. Operations will include mapping and ROV exploration with Nautilus, as well as mapping with an autonomous surface vehicle. While in transit between expeditions, including en route to and from the Hawaiian Islands, Nautilus will conduct sonar mapping to fill in gaps in seafloor mapping coverage across the Pacific. Systematic mapping of the seafloor by echosounder commenced nearly a century ago, however, more than 80% of the world’s seafloor is still not mapped, and the eastern Pacific Ocean is no exception. E/V Nautilus is equipped with a multibeam sonar and sub-bottom echosounder to collect bathymetric, surface sediment characteristic, subsurface geology and water column data. Mapping targets en route to the Hawaiian Archipelago include mapping to support the U.S. Extended Continental Shelf Project, previously unmapped seamounts in the Murray Fracture Zone, and seamounts with shallow summits that may be potential targets for deep-sea bottom fishing. When returning to the U.S. West Coast from Hawai’i, mapping targets include a section in the Clarion Clipperton Fracture Zone (CCFZ) that is adjacent to areas designated for seabed mining of polymetallic nodules under the International Seabed Authority. In addition to its exploration and public outreach programs, OET engages formal and informal educators and students of all levels in Science, Technology, Engineering, Art, and Mathematics (STEAM) education and outreach programs. The Science Communication Fellowship brings formal and informal educators on board to be the voice of the expedition to the public. The Science and Engineering Internship Program trains undergraduate and graduate students studying ocean science, seafloor mapping, ROV engineering, and video engineering in the at-sea environment.